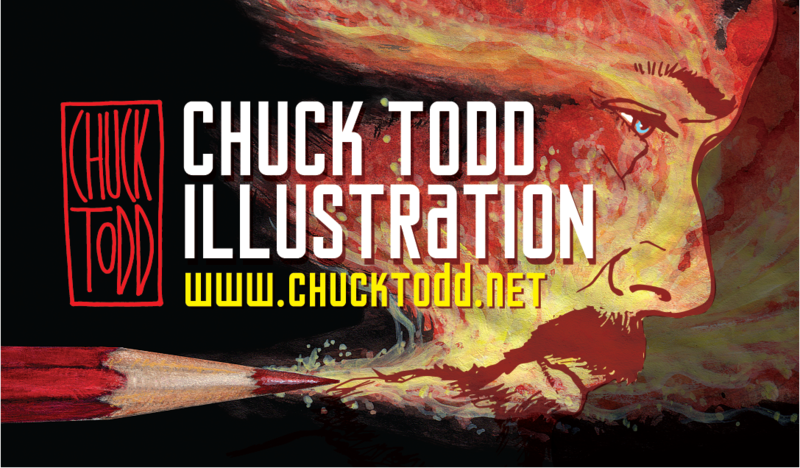 Illustration and logo design by Chuck Todd for "The Aurator: Deadly Secrets." 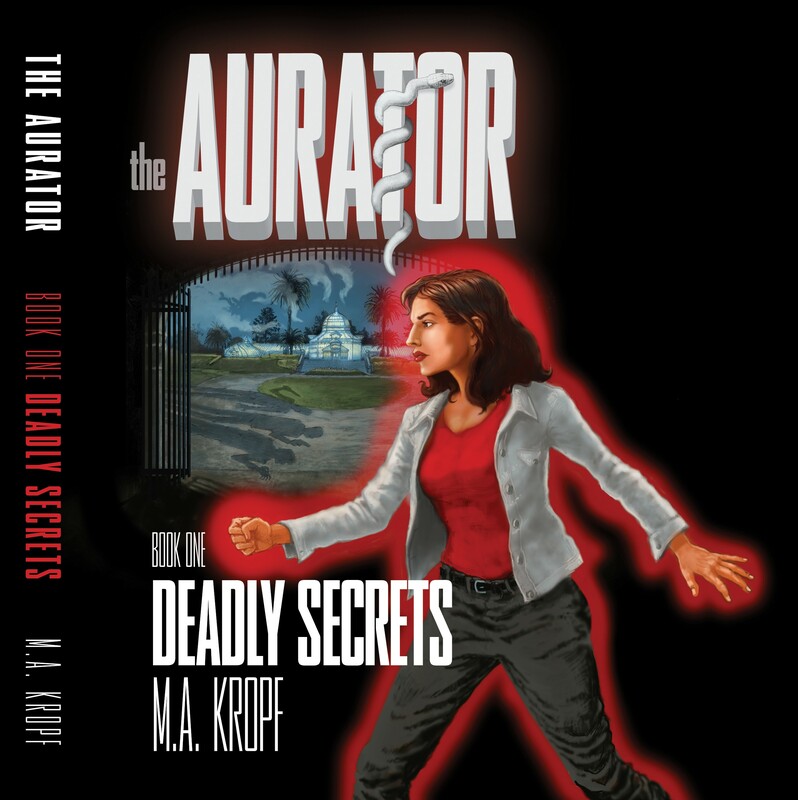 "The Aurator" is a sci fi / fantasy, medical thriller by M.A. Kropf. The first of a trilogy of book covers I'll be illustrating. The first book is NOW AVAILABLE as an ebook, in hardcover and softcover from Xlibris. IT WAS A REAL JOY AND FUN CHALLENGE TO WORK ON THIS SCI FI / FANTASY BOOK COVER. This artwork has the kind of visual storytelling I love the most. Mystery and drama..think Sci Fi and Film Noir..that really gets the creative juices flowing. 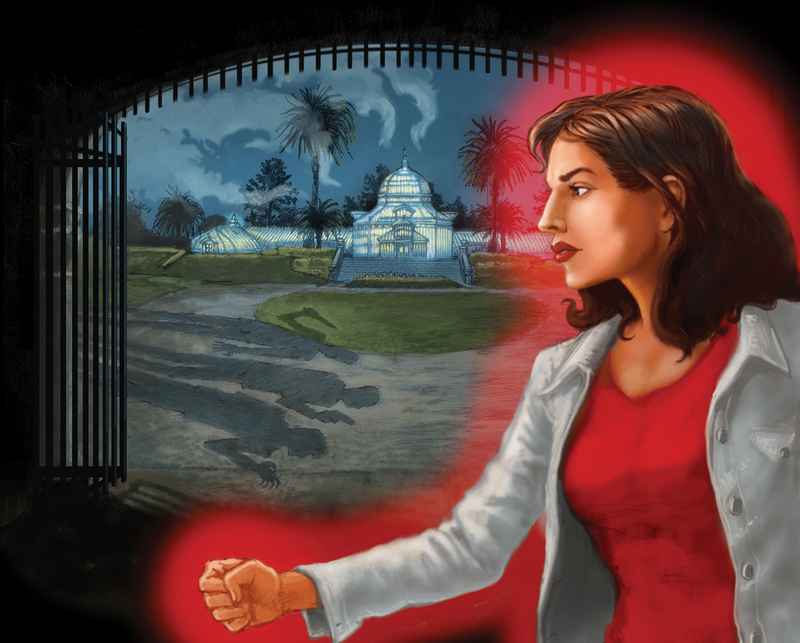 A lot of fun elements to play with for an artist: fog, threatening shadows, a San Francisco landmark….and The Aurator, Megan, entering the scene with her glowing red aura. The book written by M.A. Kropf has just published and is the first of a trilogy. I better get busy on the next two cover illustrations. UPDATE: Now available as an ebook as of Friday, March 9. You can also visit the Facebook page for more updates: www.facebook-the aurator.com. Revenge? Shouldn’t I be wishing everyone Happy New Year? Perhaps this isn’t the most optimistic note to close out 2011 on, but this was one of the edgier illustrations I did in 2011. 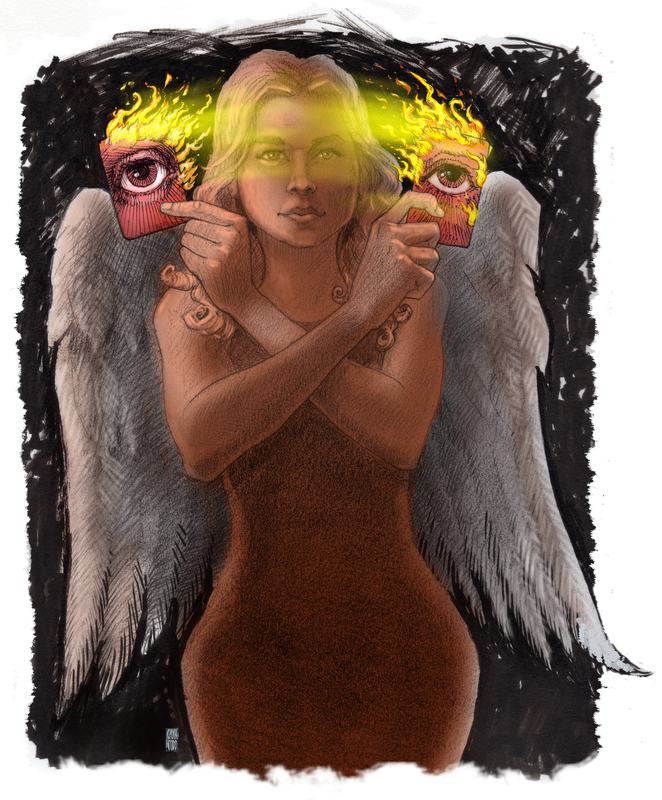 This image was for a story on revenge by Bay Area News Group writer Jessica Yadegaran from early December (2011). Viewers revel in watching shows like ABC’s REVENGE where a young woman named Emily Thorne gets even with those who destroyed her family. We dream about getting even with a bad boss or teaching back-stabbing friend a lesson. According to experts in Jessica’s story revenge can even be healthy…so long as it does not go over the line and stays safe and legal. According to the story, we often work out our injustices in our dreams, and quench our desire to get even without actually having to act them out. I suspect this is one reason why Revenge tales are so popular in movies, books and comics. They are a harmless way of fantasizing about righting wrongs without actually doing the dirty work or facing the consequences. The woman in the illustration is based on REVENGE’s heroine played by actress Emily VanCamp. I did a bunch of thumbnail sketches and came up with this solution replete with religious symbols. Of course the Eye for and Eye motif is a biblical reference to revenge. I like the idea of exchanging one card of an eye for another with flames trailing behind and the light trails covering her eyes. I worked to depict the tension between right and wrong. The femme fatale figure is powerful and in control, she has angel wings…but perhaps she is more an angel of death. The deep reds and shadows create a dark mood. I did an unusual technique, using a woodless pencil, brush pen and pen and ink on paper. The color was done in photoshop. I get to work out all of my revenge fantasies with my artwork. How fun is that? I think I’ll do more in 2012. May your New Year be full of fun, fantasy and righting wrongs! Actually, that does sound optimistic.